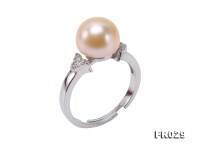 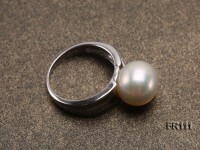 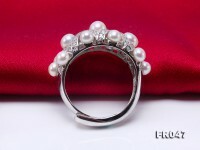 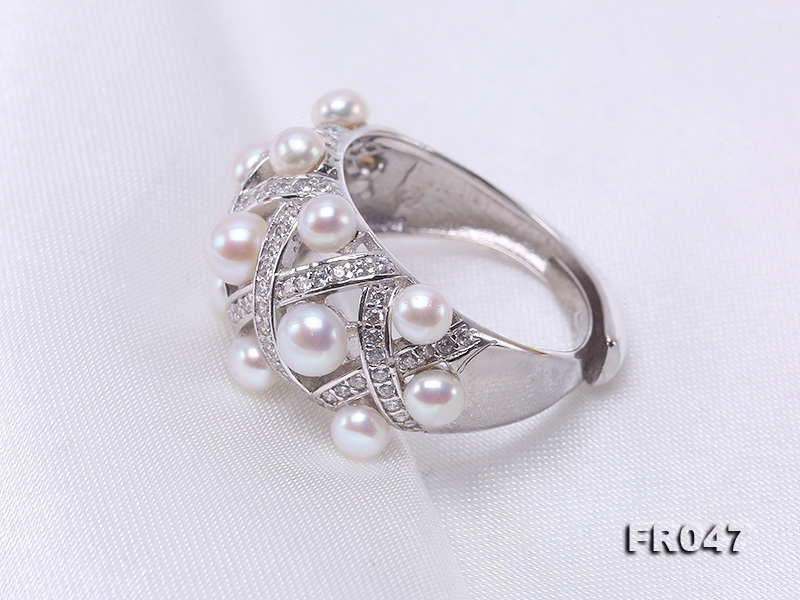 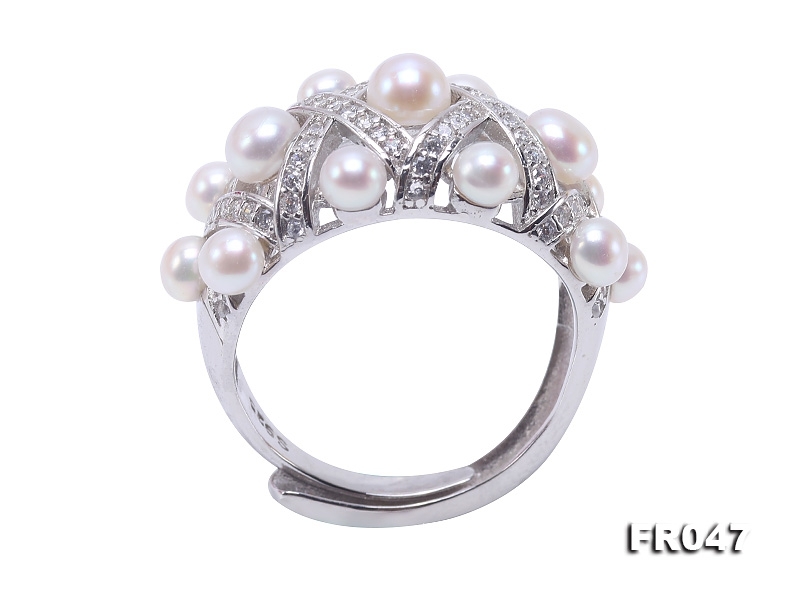 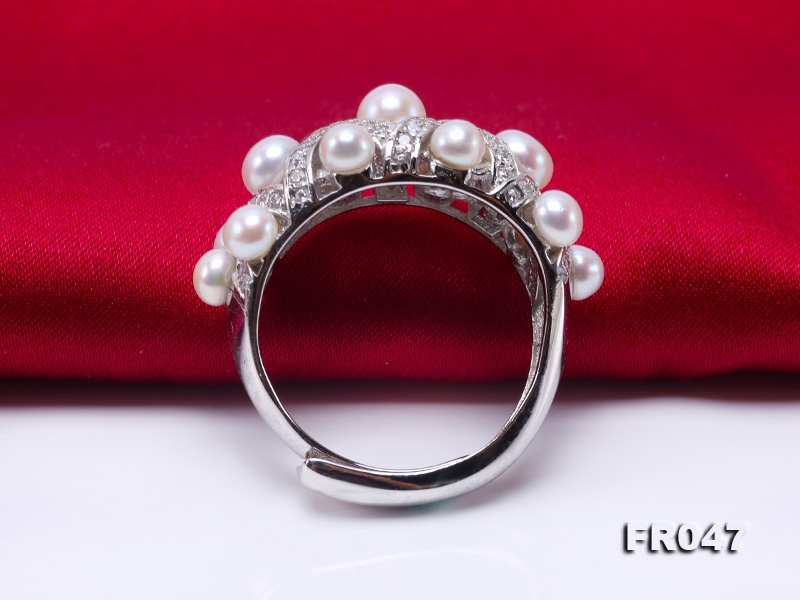 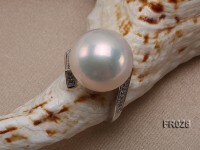 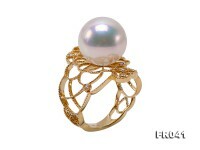 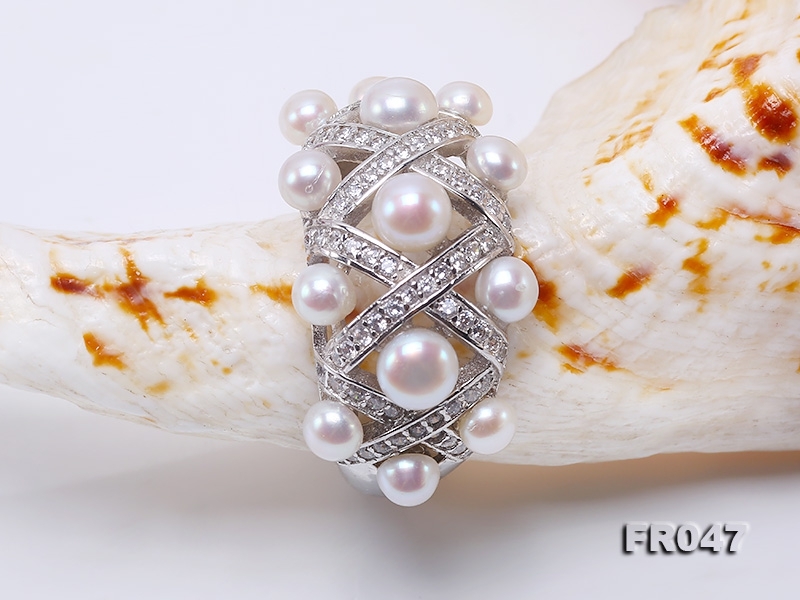 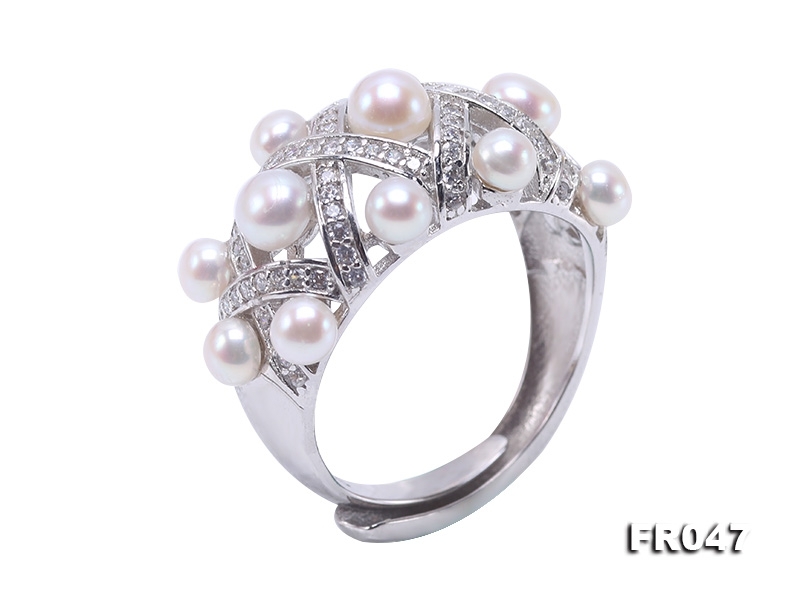 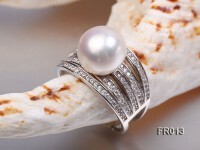 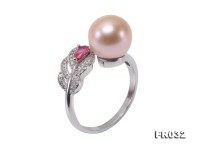 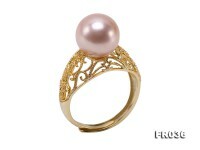 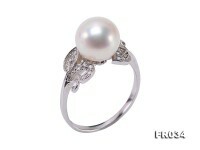 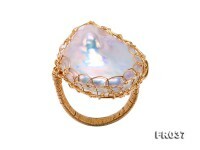 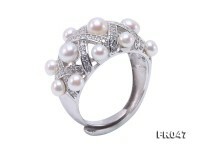 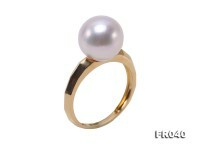 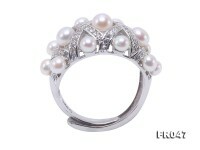 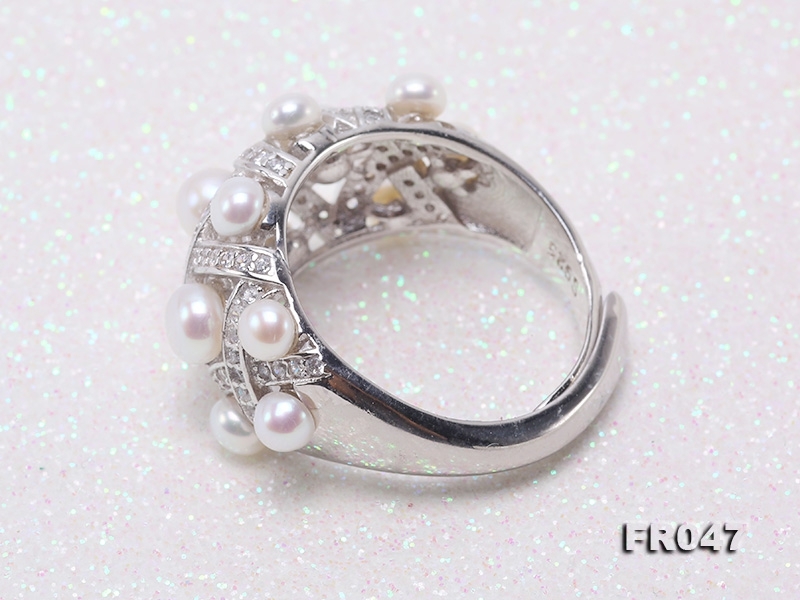 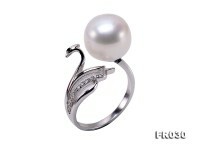 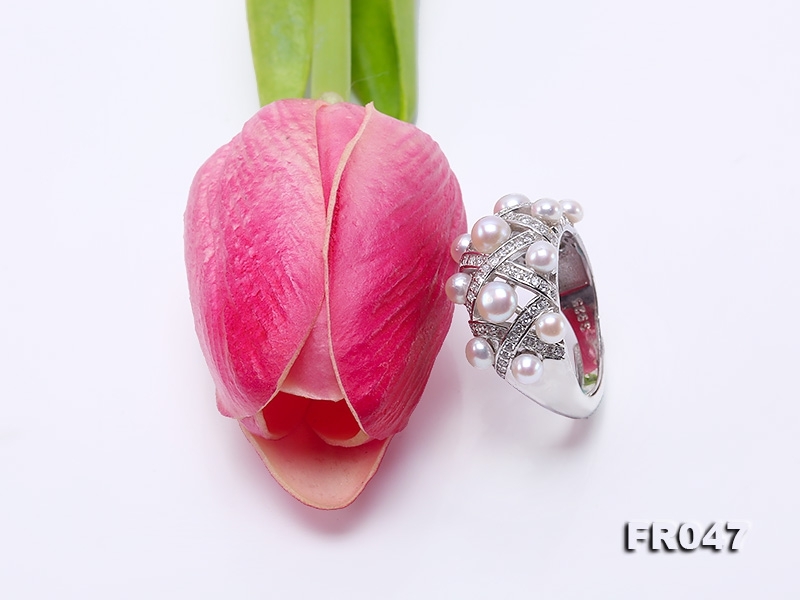 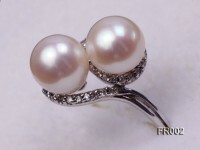 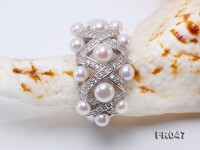 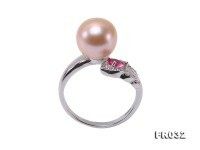 Fashion 3.5-4.5mm white round freshwater pearl ring. 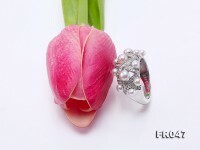 The ring itself is exquisitely crafted with sterling silver and shiny zircons, and is 12.5 in HK size. 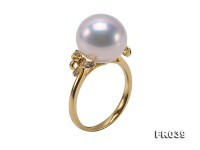 The white pearls have lustrous and smooth skin. 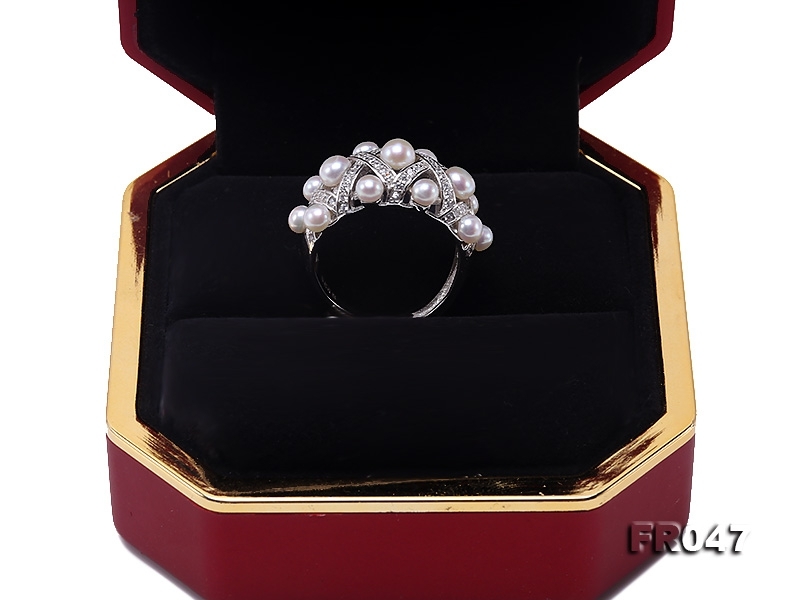 This white pearl ring is combination of beauty and fashion and makes an all-match everyday jewelry at wedding/graduation/birthday occasions.